So last night, after 2 years, I finally went to the UST Mountaineering Club's meeting at 77 bar along Kamuning. It was fun seeing old org mates again as well new bloods. Hee. :) Yes, I know it doesn't look like it but I am a member of this club and I do enjoy this death defying (um not really) activity! I was even into rock climbing before. So anyway, the meeting was all about the org's agenda for this year, our upcoming anniversary celebration (24th year!=D) and our new website. Exciting! Here are some of the few (as in 5 pcs.) of photos I took..
Of course, I wasn't able to come out of there without being teased! Argh. So here's what I wore. Then come Sunday I went to the Rockwell Urban Bazaar! Went with my FIP friends --Rech, Lia and Rose. We then went for a quick snack outside then we all parted ways. Mich and I headed to Megamall next. 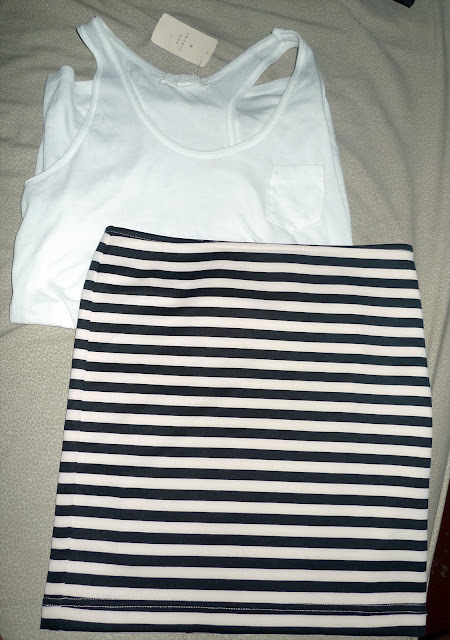 Of course, I cannot not go inside Forever 21 since I read from Lloyda's blog that new stocks just arrived! They already have the lace up wedge I was crushing on for weeks now which I saw at F21's site), but too bad they don't have sizes anymore. ;c So I just went home with a top and a skirt! So much for not buying clothes there. Haha. I do have a valid reason (I think). I only buy clothes I know I wont be able to find in thrift shops or anywhere else. Or if I've been looking for that particular style since forever--which was the case this time. Hah. Oh and I also saw Carla at the Atrium! Too bad we weren't able to really say hi, but we did wave at each other. :) Nice bumping into you Carla! Got really hungry after so we headed straight to Orchard Road resto for some chinese food fix. I ordered lemon chicken rice and Mich ordered lemon fish rice. That ghostly figure is actually a girl walking past our table. Cool huh. Hihi. And then our food arrived. At last! Yum. Then after eating we passed by a store with some cd's on sale... 3 for P200 ($5)-- not bad-- so we bought cd's of our favorite movies. 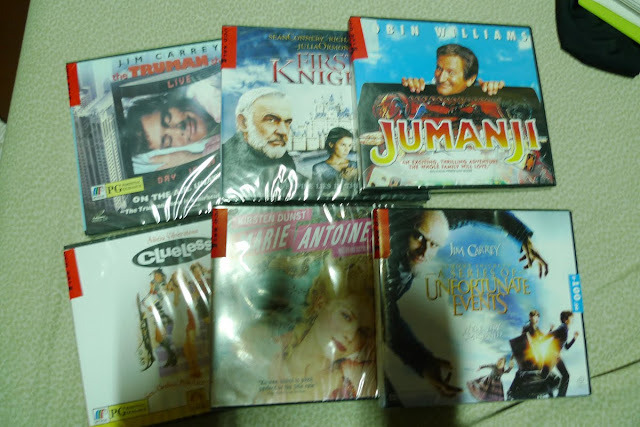 :) I chose Clueless (of course), Marie Antoinette and Jumanji. On our way out we passed by Beard Papa and bought our favorite Sylvanas! We bought 2 pcs and paid for P50 ($1). Delicious! Super fun day. Fun for the soul but not for the wallet. Lol. House arrest anyone? Pax! Gosh I lost my phone kanina lang. Waaaah :(. So PM muna sa multiply to communicate with me :) Syempre kung sakin ka magsshop di kita pipigilan. Haha joke. 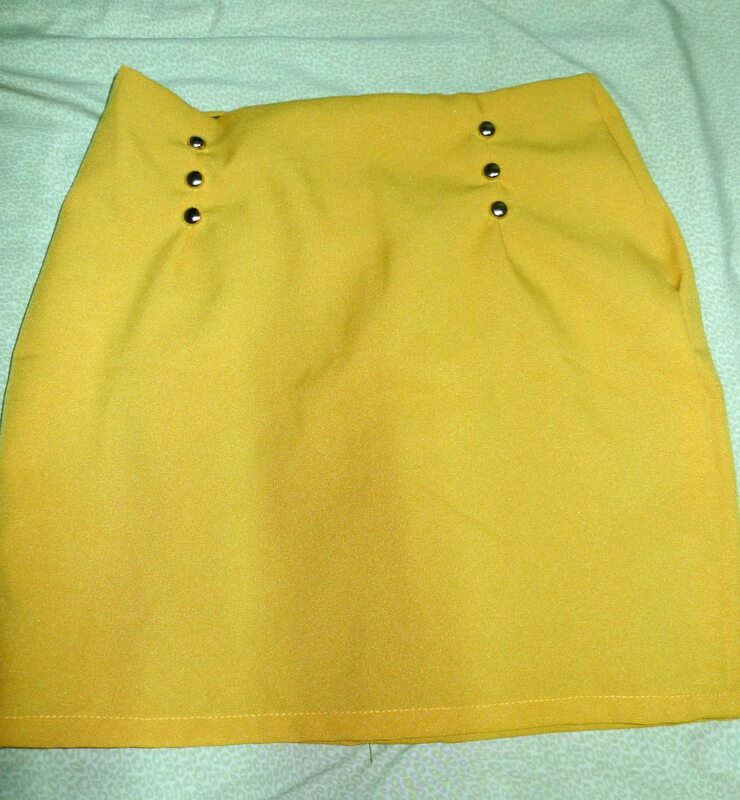 Pero yes the skirt will fit you ^____^. neway, love your top!!! and the cross necklace! @Gizelle - actually, it's expensive for me too. hehe! It's the most expensive shoes I own! 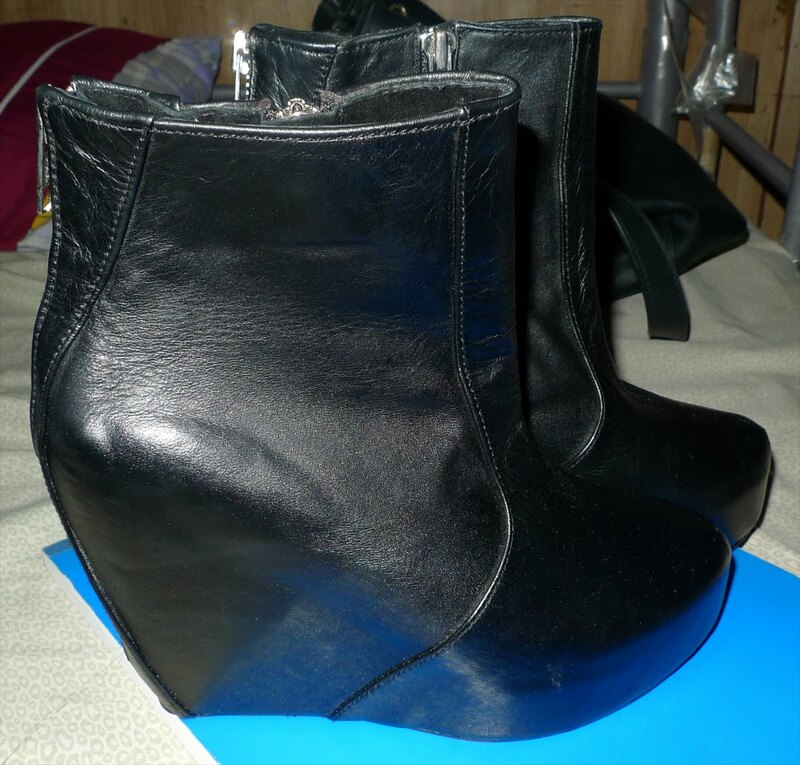 But I badly wanted a wedge boots before so here it is na. hehe. the dress you're wearing is super cute :D hehe reminds me like a madeline cape almost! looked like it was a fun-filled day! and you took home w/ you quite a number of stuff, too! doesn't it make you feel so fabulous carrying a few shopping bags around? for a moment, you forget about how zero money left you have in your wallet. or this just me? haha. love the frills on your dress, Pax! you look very chic indeed. @gela - i agree!!! it is fab caryying shopping bags the moment before you realize you're pooreer na. wahehe!!! i love your style! and your shopping made me jealous! I also got the Pixie wedge! I love your dress Pax. 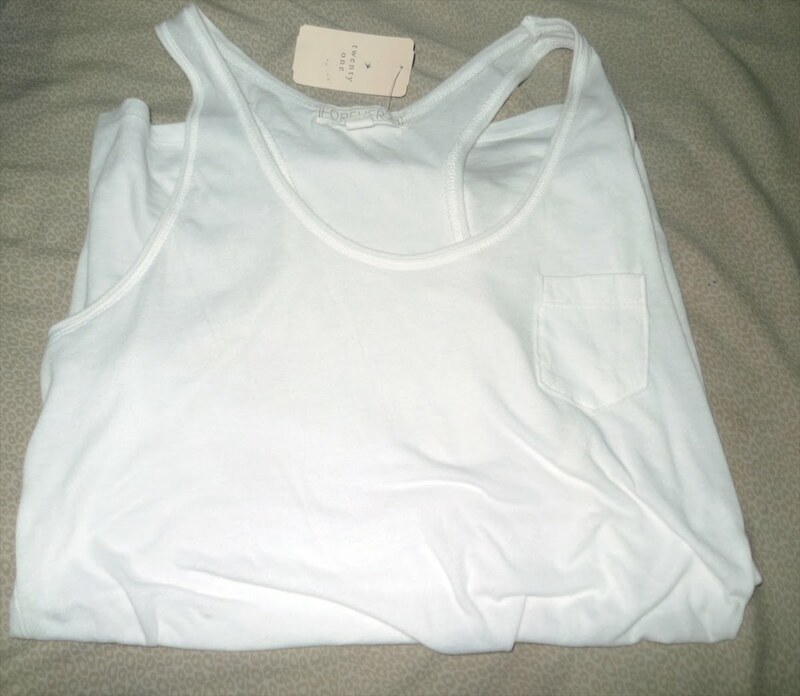 and my gawd, the F21 tank is so dirt cheap!! !